Maggie Stovall is trapped inside a person she's spent years carefully crafting. Now the truth about who she is-and what she's done-is bursting to the surface and sending Maggie into a spiral of despair. Will she walk away from everything, or can Maggie allow God to take her to a place of ultimate honesty-before it's too late? 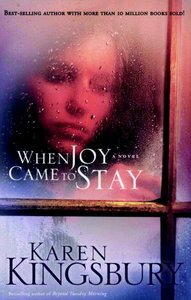 About "When Joy Came to Stay"